This map shows the percentage of dwellings that are "not occupied by usual residents". 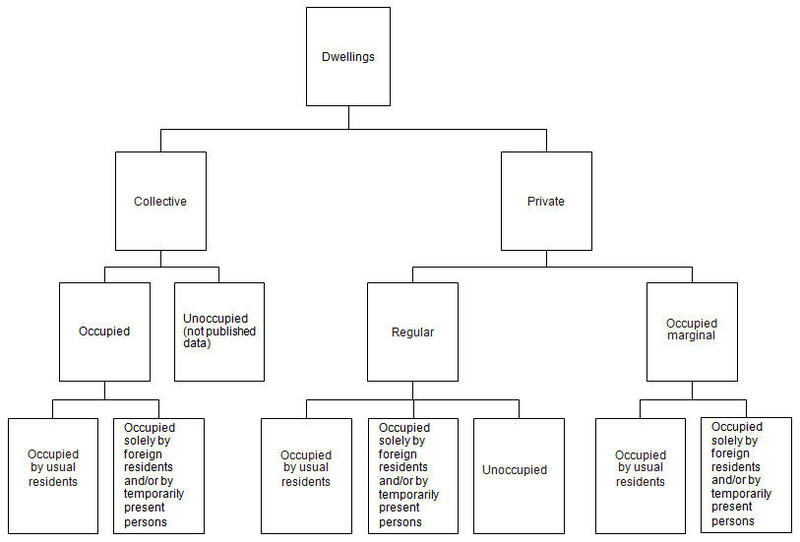 That includes dwellings that are unoccupied, or occupied temporarily be a person with primary residence elsewhere in Canada or abroad. In plain language, these are residential units not used as primary residence. In Canada overall, the rate of unoccupied dwellings slightly increased from 8.4% in 2006 to 8.6% in 2011 and 8.6% in 2016. Looking at Census Metropolitan Areas, Vancouver went from 6.2% in 2006 to 6.1% in 2011 and 6.5% in 2016. Toronto went from 4.9% in 2006 to 4.3% in 2011 and 4.4% in 2016. Calgary went from 4.2% in 2006 to 5.0% in 2011 and 4.6% in 2016. When comparing different areas one should keep in mind that the rate of unoccupied dwellings depends heavily on the building stock in each area, with for example apartments generally more likely to be unoccupied than single detached dwellings. So comparisons across areas with different building mix can be challenging, and the building mix also changes over time. 2016 building type data is not yet available. In the City of Vancouver the overall rate of unoccupied dwellings rose from 7.5% in 2006 to 7.5% in 2011 to 8.2% in 2016. We can observe that areas with high proportion of new dwelling units tend to have higher numbers of unoccupied units. At the same time we see that older areas, like Coal Harbour, slowly fill in. The Olympic Village stands out as a big drop of unoccupied dwellings from 2011 to 2016. Compare this to the corresponding maps based on 2011 data and based on 2006 data. Zoom, pan and use the search bar to explore whatever regions in Canada interest you.